Pay as you go USB modems really are handy bits of kit, if you want to have something in your bag to ensure you can always get online, but you don't want to have to be roped into expensive contracts. 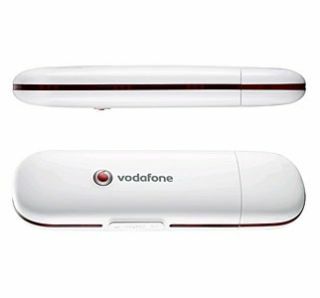 Vodafone's new PAYG USB modem costs a mere £39 to buy and £15 to top up with 1GB's worth of data credit. £15 will buy you around 30 hours of web surfing, or up to 650 emails, or 65 downloads of MP3 music tracks or short video clips. Why you would choose to download MP3s from a PAYG USB dongle connection is another matter entirely, of course. Handily, unlike other offerings, your 1GB does not expire after 30 days. The dongle downloads data at speeds of up to 3.6Mbps and also lets you store up to 4GB of data. £15 for 1GB worth of credit that doesn't have a time limit is about the best offering on the market right now, for casual users that just want an internet back-up option for those moments when a free or unsecured Wi-Fi connection is nowhere to be found.